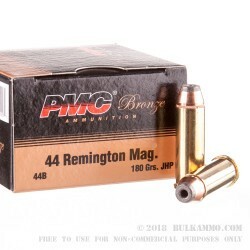 A relative bargain for .44 Remington Magnum rounds with a proven design and a quality build from a maker that has been delivering quality bargain ammunition to the American shooting public for several decades. 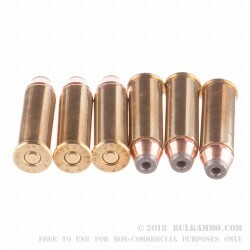 This 180 grain, semi jacketed hollow point load for the .44 magnum round is a proven threat mitigator throughout the past 50 years. The high deformation, the intense ballistic performance, the amount of energy delivered on target make it suitable for large game hunting, personal protection and any other chore you ask of it. 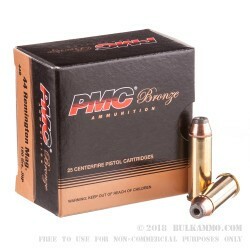 The low price point relative to peers makes it an easy choice to take to the range for some real life training in preparation for using it in a carry gun, a home defense weapon or against medium and large game from hogs to deer. 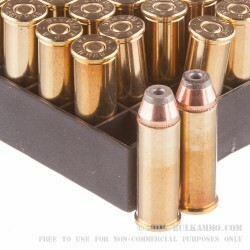 Such a mellow looking round on the surface compared to the extreme designs you see in the marketplace now from various manufacturers, it might be surprising to note that this load achieves 1750 fps velocity and 1225 ft. lbs. of energy making it a clear cut bargain value for any of the aforementioned tasks you might call upon your .44 Magnum to handle.